Parents behaving badly at kid’s events. What else is new. 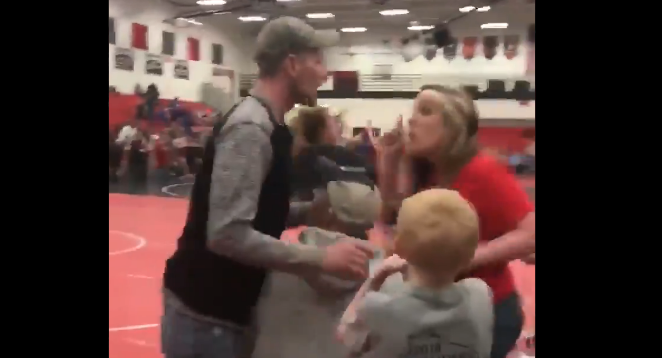 This particular incident shows two kids going at it on the mat with parents screaming instrustions from the sidelines. Again, very typical of over-involved parents overtaking the coaches job. Next thing you know, one female parent says something to another parent, which garnered a response and got the male parent to run over and actually square up with the woman before all hell broke loose.